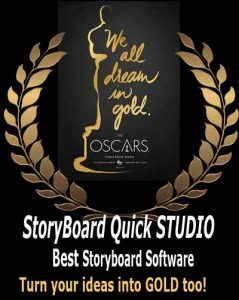 Like the regular Quick Characters, StoryBoard Quick Studio Characters are vectored and customizable, so they can be scaled to fit any scene you can imagine! Double your characters’ poses by upgrading to Quick Studio today! Get all six color-customizable characters with twice the action directly in your application interface for easy access.